When Nicole asked me to talk about my town, I jumped at the chance. Narrowing down what I wanted to tell y'all was a different story. 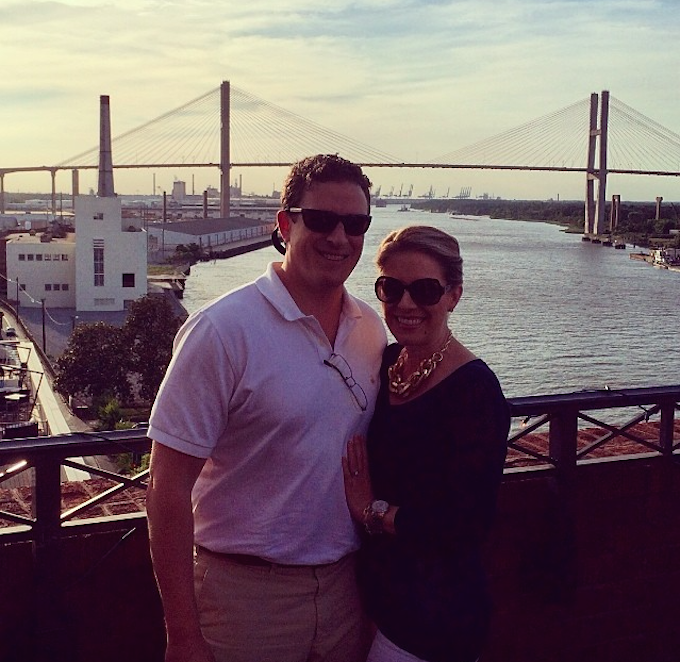 Savannah has so many things to offer and there are endless experiences to be had. That being said, I thought I'd share my current favorites, from a local's perspective. Let's take a stroll, shall we? I'll start with location. Just four hours southeast of Atlanta is Georgia's First City, Savannah. Referred to as the Hostess City, she's nestled right on the Georgia coast and full of history, culinary delights, absolutely gorgeous scenery and loads of hospitality. Speaking of culinary delights, let's talk food. Savannah's culinary scene is experiencing a bit of a renaissance right now. New spots are popping up all over town, many of which are in repurposed buildings boasting tons of history and fascinating stories. 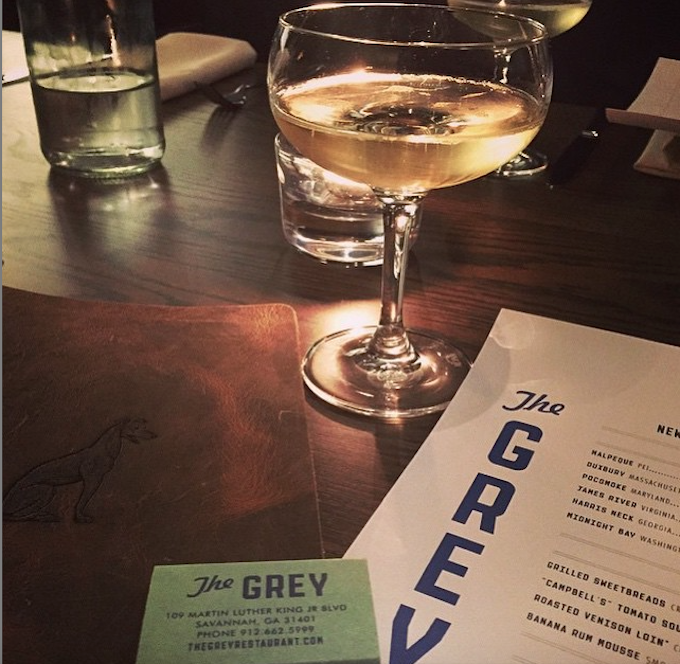 A prime example is Savannah's newest hot spot, The Grey. This upscale New York-esque restaurant opened it's doors back in December and the popularity has continued to grow. (For you Atlanta folks, I'm talking "The Optimist" type of popularity). Reservations are a must! With a menu full of thirst quenching, hand-crafted cocktails and palate pleasing dishes ranging in size-starters, middles and mains, it's quite possible that the coolest thing about this restaurant is it's location. Set in Savannah's old Greyhound Bus Station, hence the name, the owners did a terrific job preserving the building and it's history. From the time you walk up to this establishment, you'll notice all the bus station touches, including some original lighting and doors. Their exclusive list of raw oysters is quite impressive and my favorite main is the hanger steak. The Grey is definitely a throw back with a fun vibe and is not to be missed! Top Deck, the rooftop bar at the Cotton Sail Hotel (a beautiful boutique hotel on Bay Street) is my favorite for cocktails and small plates, especially after work. Sitting high above Savannah's waterfront, this spot is a nautical lover's dream and offers the best views in the city. Top to bottom, this joint is all things nautical. If you're anything like me, you appreciate the little touches and there's plenty of that to go around. 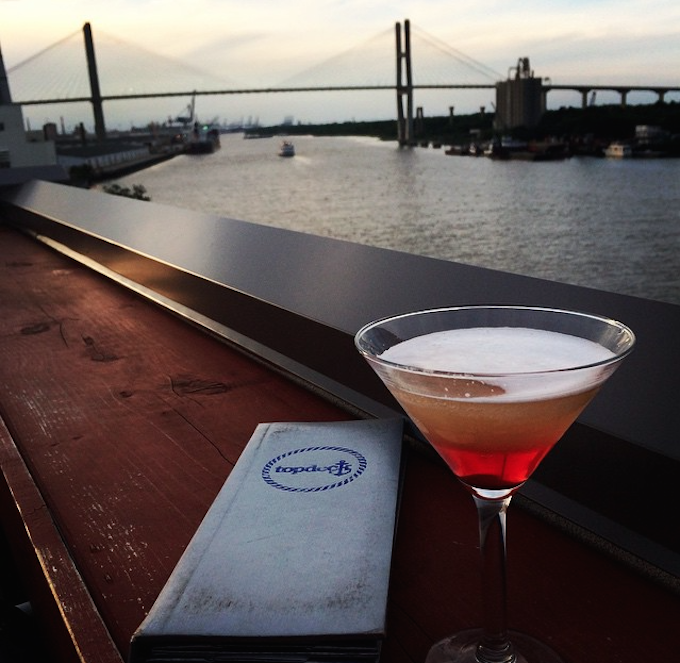 Sip on cleverly named cocktails and nosh on delicious bites while you watch ships make their way up and down the Savannah River. And don't miss the sunset over the Talmadge Bridge. It's a photo-op you don't want to miss! 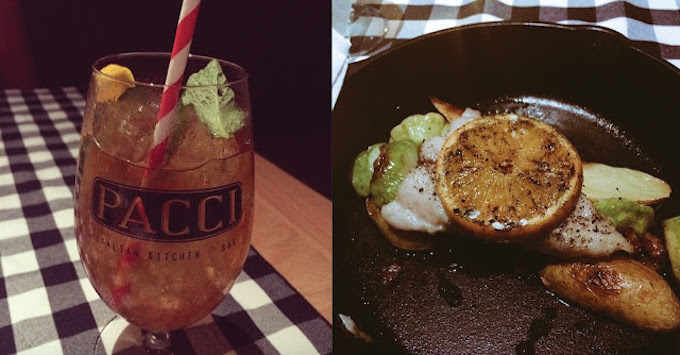 Pacci Italian Kitchen + Bar is probably my favorite restaurant at the moment. Found inside the Brice Hotel (a darling Kimpton property that happens to be pet friendly), their brunch is spot on and dinner is pretty darn spectacular too. There's no shortage of history and ambiance here. Housed in an old Coca-Cola Bottling Plant, you'll find little nods to it's former use, like the Coca-Cola braised short ribs (which are AMAZING, btw!) and the House Bottled Bourbon and Cola. The staff is always friendly and reservations are a good idea. Broughton Street is my favorite shopping district and new shops are popping up what seems like every week. You'll find some big brand faves (Banana Republic, Gap, J. Crew, Marc Jacobs and Kate Spade) but you'll also find some local shops that are unique in their own way. The Paris Market is a must as is 24e, Broughton Exchange and the Savannah Bee Company. 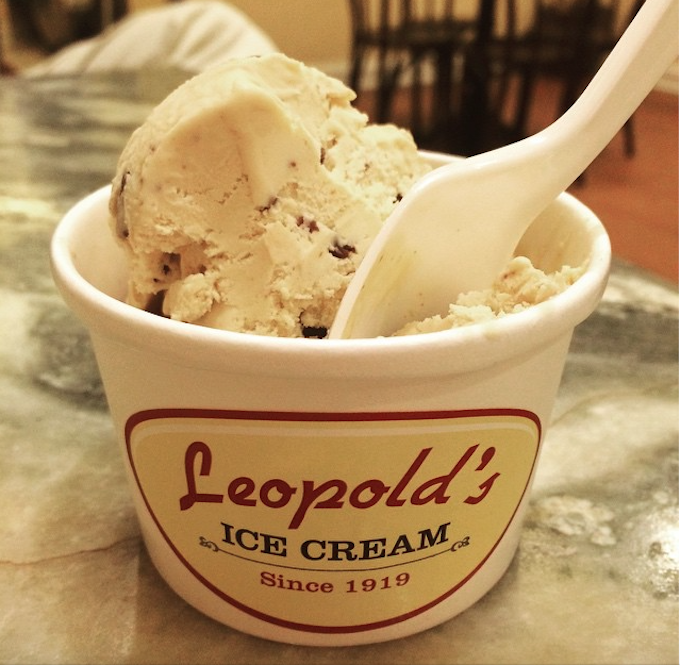 After all that shopping, treat yourself to a little something sweet at Leopold's Ice Cream. Don't worry if the line is long...it moves pretty fast and it's oh-so worth it. My favorite flavor: Peanut Butter Chippy! Taking a stroll around any of Savannah's 22 squares (Did you know Savannah was America's first planned city? Thanks, General Oglethorpe!) 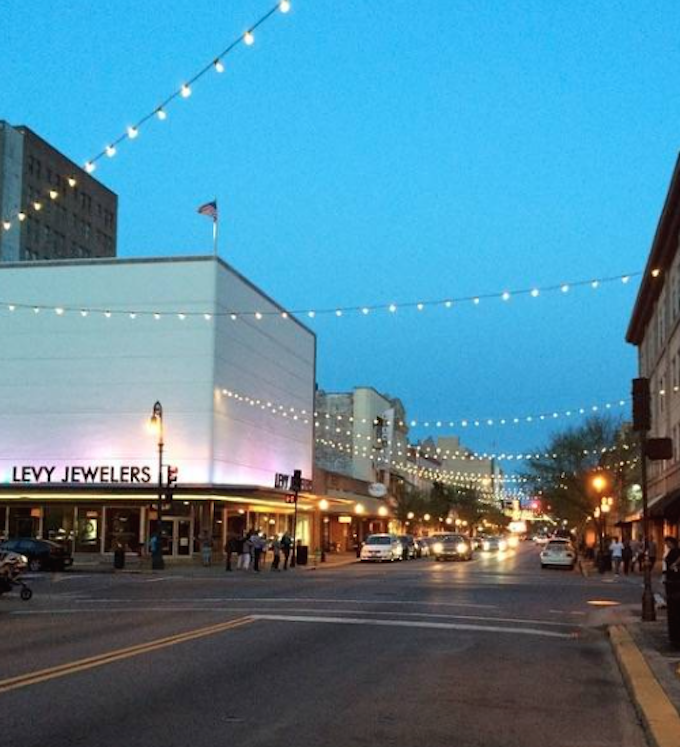 is a great way to experience the true beauty of the historic district. But don't miss Forsyth Park. 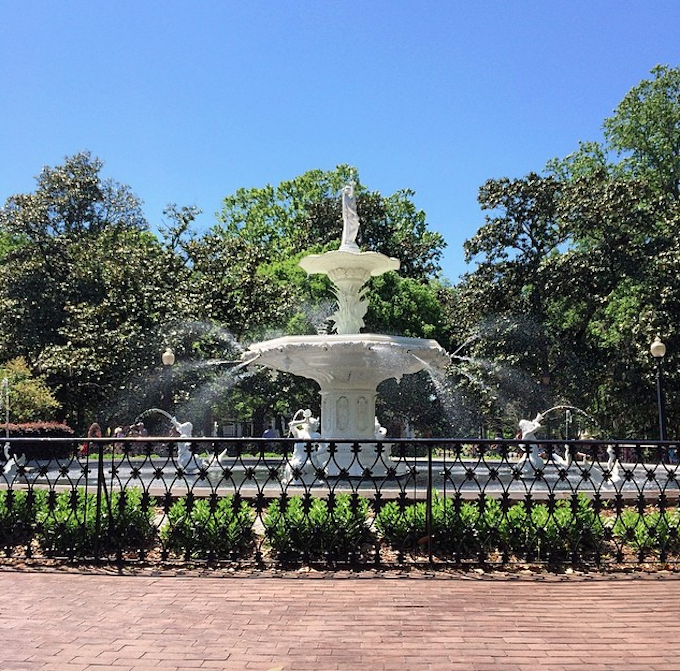 Forsyth Park is home to one of Savannah's most beautiful fountains. Your trip won't be complete without a selfie in front of this beauty! And just when you thought Savannah couldn't be any more charming, you find out she also has a beach. Yep, that's right, a beach. The closest beach to Atlanta, I might add. Allow me to introduce you to Tybee Island, Savannah's Beach. I'm a beach bum at heart so it's no surprise this is one of my favorite spots. When fun in the sun is in order, I hang at North Beach-just look for the light house and you'll find North Beach. It's the quieter end of the island and for locals, it's easy to feel like you're on vacation at North Beach. I love being able to walk up from the beach and slide into North Beach Bar & Grill for a snack or cocktail. The laid back vibe will lure you in and beach-goers are more than welcome. 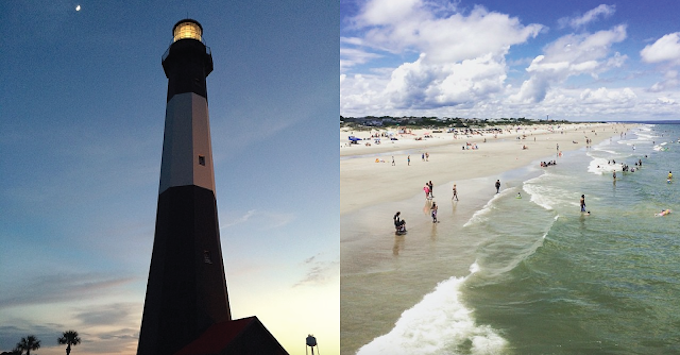 Want to know a little secret about Tybee? It's one of the best places in the world for kayaking. Seriously. And the Back River is the place to do it. The calm waters provide the perfect playground for kayaking and paddle boarding. Ahhh, it's so peaceful, y'all. And you might even spot a dolphin or two. Sure, Savannah sunsets are beautiful but Tybee's sunset game is really strong. My fave place to watch the sunset is CoCo's Sunset Grille. And guess what...they have a rooftop. 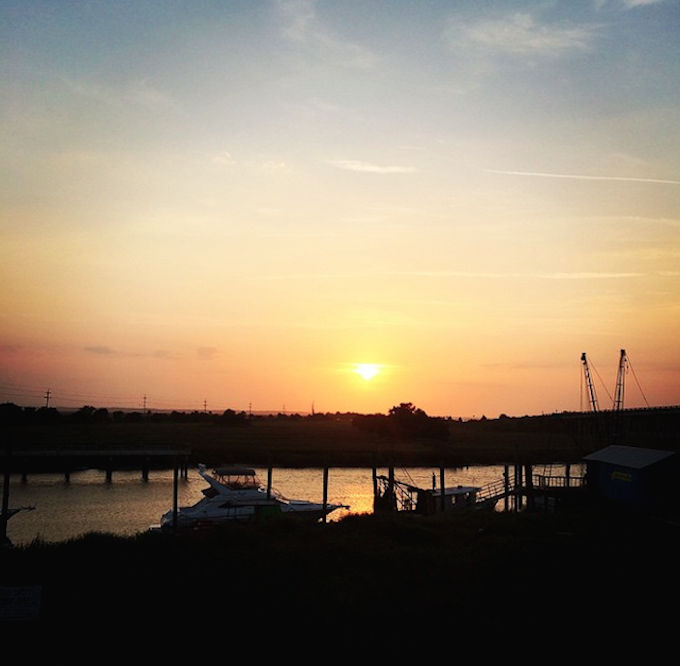 Situated right on Lazaretto Creek, it's arguably the best place to watch the sun go down. As you can see, I am super lucky to call this beautiful city home. I was born and raised in Savannah, yet she still mesmerizes me with her beauty, uniqueness and hospitality. Are y'all ready to come visit? I hope to see you soon! For more on Savannah, this is a great site. And for more on Tybee Island, this site has it all.